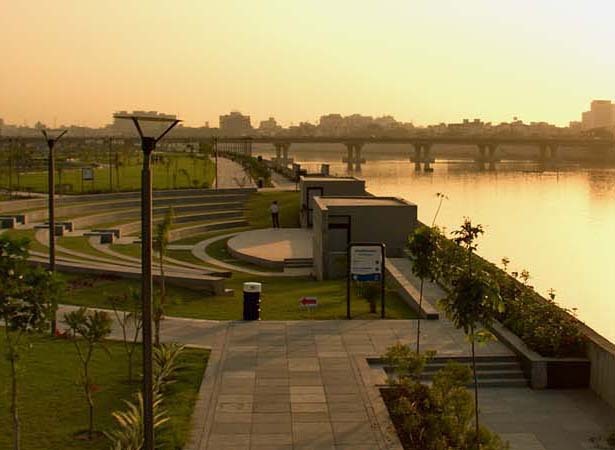 The key feature of this project is a two-level, continuous promenade at the water’s edge along each bank of the river. The lower-level promenade is built just above the water level to serve pedestrians and cyclists, and to provide access to the water. The upper level promenade shall host a variety of public features at the city level. 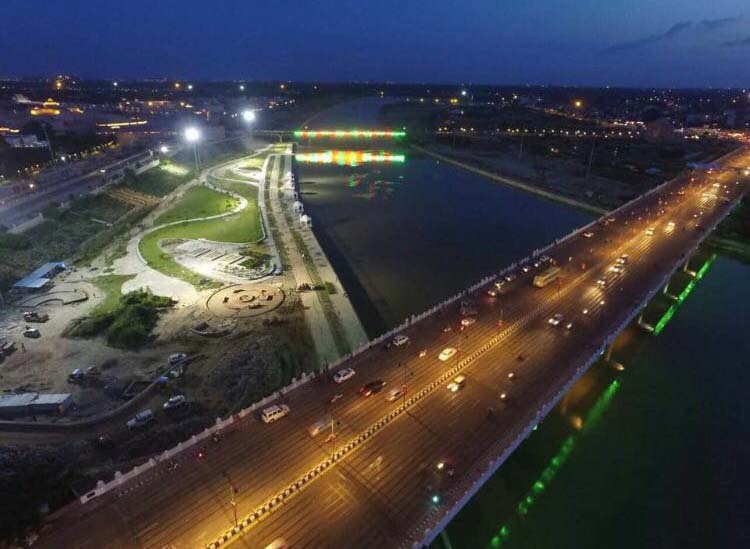 Together these provide Ahmedabad with an uninterrupted, pedestrian walkway, nearly 11.5km in length, in the heart of the city. The width of the promenade varies from 6-18m. 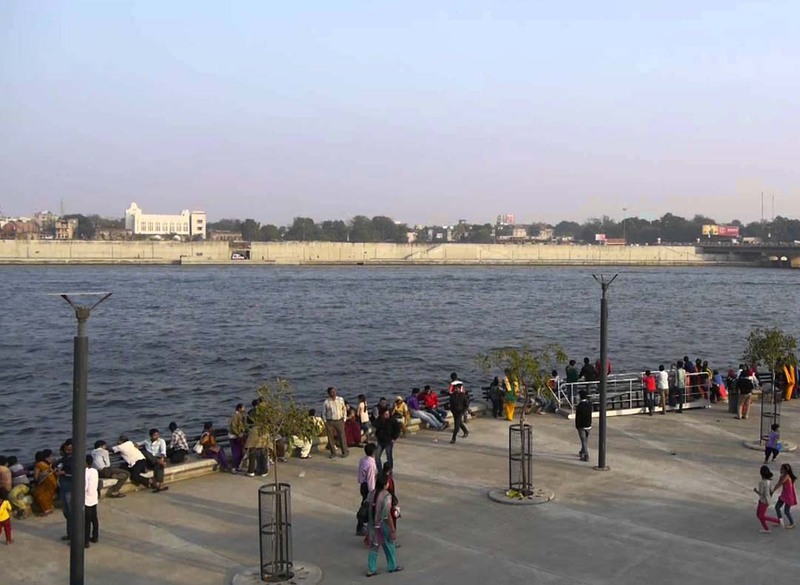 Facilities provided at the River Promenade include: - Access points from the city level via staircases and ramps at regular intervals and under every bridge. - Lifts or Elevators to make lower-level promenade accessible for people with disabilities. - Ghats at key locations to enable continuation of cultural activities. - Boating facilities with a boating station. - Public washrooms at regular intervals. - Concrete paved flooring which can support walking, jogging and cycling. 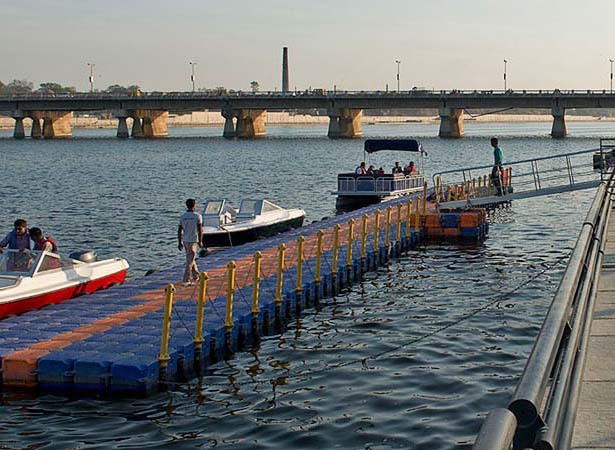 - Continuous seating arrangement at the river’s edge along with protective railing. - Evenly spaced lighting along the length of the promenade. 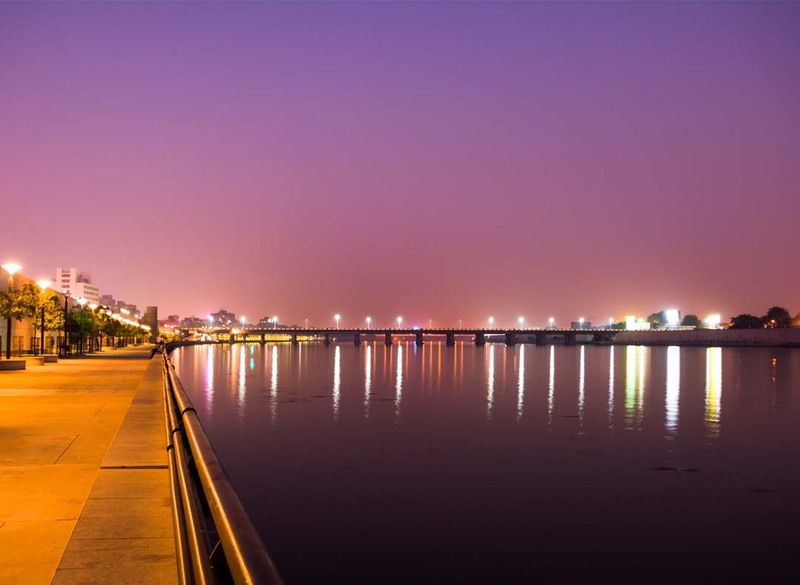 - Evenly spaced tree plantation along the length of the promenade - Circular concrete seating around the trees and provision of dustbins at regular intervals. - Platforms at regular intervals for regulated and organized vending activities. - Security arrangements to handle entry-exit, timings and emergencies.